Karen O dropped her new album Crush Songs, which she apparently wrote sometime around 2007 after the Yeah Yeah Yeahs made Show Your Bones. The album sounds like a solo ukelele session with a slew of songs that are akin to 2013’s “The Moon Song” off of the Her soundtrack… A song which REALLY should’ve won the Oscar for Best Song over that Idina Menzel track from Frozen. 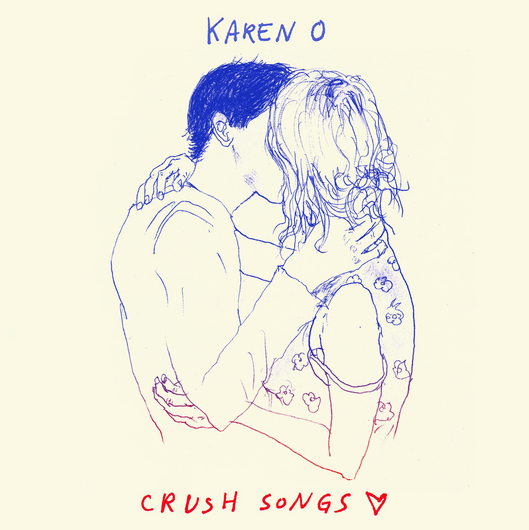 At any rate, if you like (love) Karen O, then Crush Songs is for you. Hear it here via NPR First Listen. Previous PostNew SBTRKT ft. Raury, “Higher”Next PostOdesza’s New Album, In Return, Leaves A Lasting Impression….